Huawei has flagged plans for the company to step up its global public cloud presence. The Chinese telecommunications equipment manufacturer and services provider’s rotating CEO, Eric Xu, said the company will boost its investment in public cloud this year. "Beginning in 2017, Huawei will focus on public cloud services. We will invest heavily in building an open and trusted public cloud platform, which will be the foundation of a Huawei Cloud Family,” Xu said that the company’s 14th annual Huawei Global Analyst Summit (HAS) in Shenzhen on 11 April. “This family will include public clouds we develop together with operators, and public clouds that we operate on our own," he said. Xu detailed the company’s strategy, suggesting that it will remain committed to building more connections, enlarging data pipes, and driving digital transformation. He also flagged a focus on IT infrastructure, smart devices, and noted that providing cloud services has already become a basic business model. "The journey to an intelligent world has already begun," he said. "Many years of exploration and innovation in technology are driving industry development, presenting huge business opportunities. 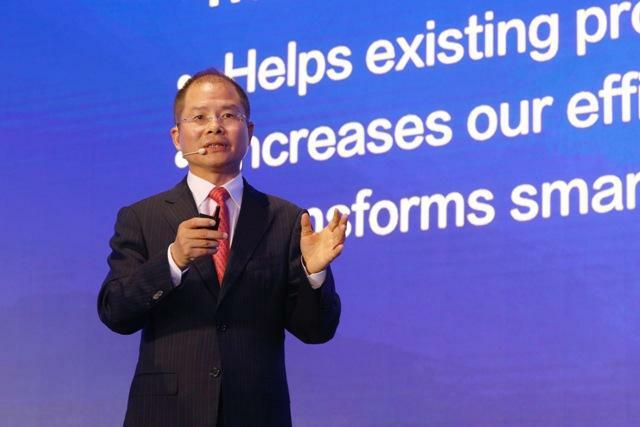 “Huawei will remain committed to building more connections, enlarging data pipes, and driving digital transformation. By focusing on ICT infrastructure and smart devices, we will enable this intelligent world and drive its ongoing progress,” he said. Huawei’s move to push its public cloud profile globally will see it encroach on territory held by some of the industry’s incumbents, such as Microsoft and Amazon Web Services (AWS). It will also see the company potentially go head to head with more recent newcomers, such as Google and fellow Chinese tech giant, Alibaba, in certain markets. Earlier this year, Google staked its claim as a serious cloud contender across the enterprise, backed up by an expansive list of heavy hitting customers migrating to the skies. In March, the tech giant revealed a host of multinational wins at its Google Cloud Next ’17 conference in San Francisco, alongside an applications partnership with SAP. Meanwhile, Alibaba Cloud is in the process of boosting its global cloud footprint, opening a new datacentre in Sydney in November last year. The Australian facility is part of the e-commerce giant’s strategy to expand its global network coverage, with a string of facilities to follow operation in Germany, Japan and the United Arab Emirates. Read more ​Aussie IT spending increases, but where’s the money going? The company revealed plans last year to open up four new data centres by the close of 2016, as part of its $1 billion investment drive to boost its cloud computing unit. The latest additions brought Alibaba Cloud’s worldwide datacentre total to 14, including two in the United States.